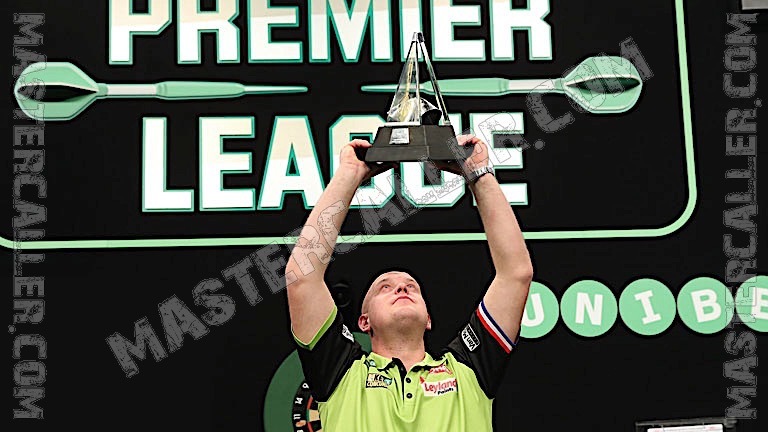 In 2005, introduced by Matchroom Sports as the strongest competition in world darts, the premier league is a travelling darts circus all around Great Britain and Europe. The 2019 Premier League kicks of in Newcastle on 7 February. The play-offs are on 23 May in London. The World’s top four are automatically qualified for the 2018 Premier League. In addition, the British broadcaster Sky Sports has two wildcards. The last four spots are PDC wildcards. The last few years the definitive line-up was announced on the final day of the World Championships. Michael van Gerwen is de reigning champion, he beat Michael Smith in last years final. The participants for 2019 are: Michael van Gerwen, Rob Cross, Peter Wright, Gary Anderson, Daryl Gurney, Michael Smith, Gerwyn Price, James Wade, Mensur Suljovic and Raymond van Barneveld. Gary Anderson had to withdraw with a back injury just before the start of the season. The PDC then chose to have nine different players replace Anderson during the first half of the season. The nine players are: Chris Dobey, Glen Durrant, Steve Lennon, Luke Humphries, John Henderson, Nathan Aspinall, Max Hopp, Dimitri van den Bergh and Jeffrey de Zwaan. Their results do not count towards the ranking. All points that the 'fixed' nine players achieve do count for the standings.